Miss Santa Cruz 2017 Yasmin Pinto was crowned Miss Mundo Bolivia 2017 and will now represent Bolivia at the Miss World 2017 pageant to be held later this year in China. 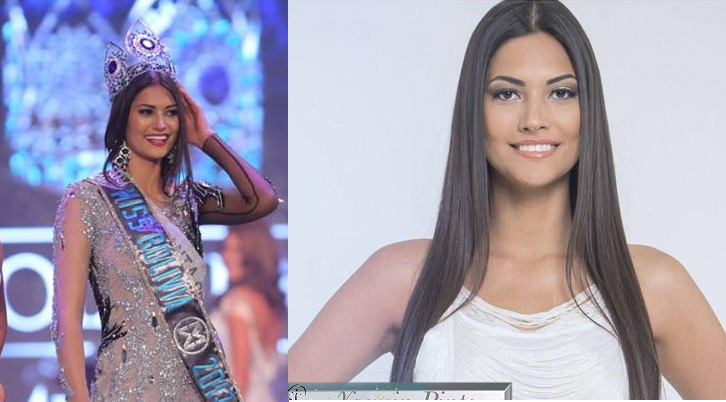 19-year-old financial auditing student Yasmin bested 23 other beauties and succeeds Miss World Bolivia 2016 Leyda Suarez Aldana. Gabriela Espindola Baldiviezo won Virreina Miss Bolivia 2017 who was also bagged Beauty with a Purpose Award. Argene Coelho Cuellar placed first runner-up.